Whenever the word ‘PUM’ a.k.a ‘PeopleSoft Update Manager’ is mentioned it’s assumed that it’s only a job of PeopleSoft Administrator or a PeopleSoft developer to understand and implement it. Many Functional users either think it’s too technical for them or they assume it’s not needed for them to understand the PUM functionality. I am a functional user, how does PUM applies to me? Is PUM too technical for a functional person to understand? If you’re wondering any of the above questions, then this post is for you. PeopleSoft Update Manager implementation can be divided in 2 main categories – Configuration, Patch Generation. Configuration of PUM includes deployment of PeopleSoft Image, Configuration of Change Assistant , Applying change packages to target 9.2 application. This task is usually done by a PeopleSoft Admin or in some cases by a technical person. As a functional person, it’s good to have an overview of PUM configuration but you probably don’t need to learn this. Patch Search and Generation can be done by anyone who has access to PeopleSoft Image since all of this is done via PIA navigation. PUM PIA Application resides inside PeopleSoft Image and is just like any other PeopleSoft menu where you can go and search for patches using so many different search criteria, review the bugs and new features and generate a change package. You don’t need to be a PeopleSoft Admin or Technical person to do that. In fact it’s more suitable for a functional person to review the new features and bugs as functional users understand the application much better and work with end users more closely. Strong understanding of PeopleSoft functionality would help them review which patches or new features would be most effective and useful for the end users. 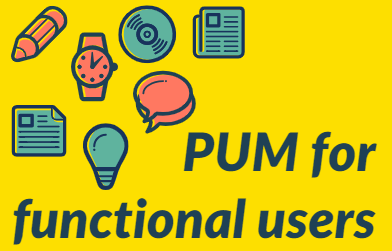 Here are few of the PUM related tasks that a functional users can perform. 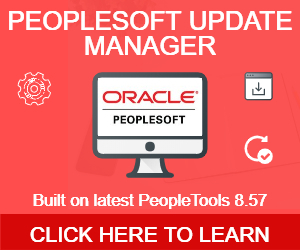 Even before a PeopleSoft Image is deployed, Functional users can review the UpdatesIncluded.xls file to find the bug fixes and new features that are delivered in latest PeopleSoft Image. 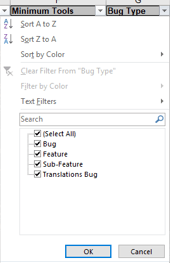 You can filter this list by bug, features, sub-feature and translations bug. Brief description of the bug type, bug subject and resolution text is given which is good enough to understand what a particular patch is about. By the time PeopleSoft Image is deployed, a functional user would have done some bug analysis which can then be continued in PeopleSoft Image and hence speeding up the process of applying bugs. This file can be downloaded from Oracle support and is also delivered with downloaded PI files. When a never-before-seen issue is faced in an application, functional users along with developers have to quickly review whether it’s due to any customization or an issue with delivered application. 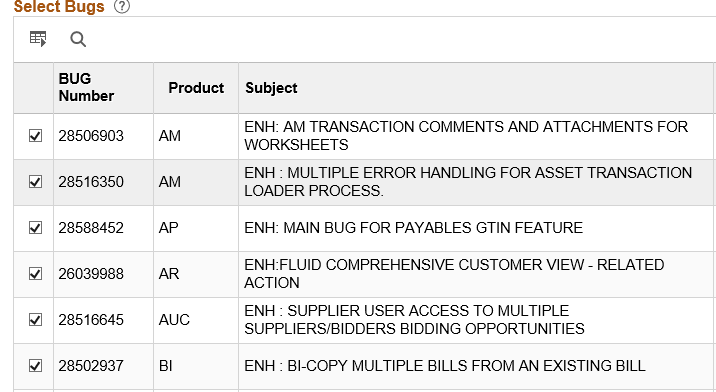 Now you can quickly search in PeopleSoft Image for a particular object and see if there is any bug specific to that product. There are several new features that are first available in PeopleSoft Images. Few of these are major functionalities like Workcenter, Fluid , Classic Plus etc while others might be minor updates like adding a new field/process. Functional users can review these features in PeopleSoft Image and then choose the one that they want to be implemented in customer’s environment. PeopleSoft project managers and functional team members can review the future schedule of PeopleSoft Image and can plan the budget and resources needed to deploy , review , retrofit the changes (if any). HCM Functional users can see whenever the next tax update will be available so maintenance can be planned accordingly. PeopleSoft Images are cumulative so latest images would have thousands of patches. As a functional user you could review the bug and new features just for the product or functional area you’re interested in. For example, you are an Accounts Payables (AP) Lead and you just want to review what are the new features in AP or any bug fixes that are delivered in PI, then you can simply search for AP specific patches and review those. To be on top of your game you always need to keep pushing yourself and learn the new things. 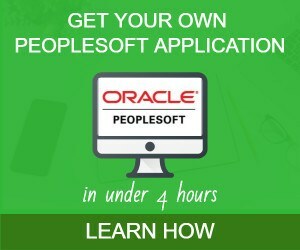 Best way to do that is by utilizing PeopleSoft Images and learn the latest what Oracle has to offer. In case you don’t have access to your own PeopleSoft application to practice check out the below link.